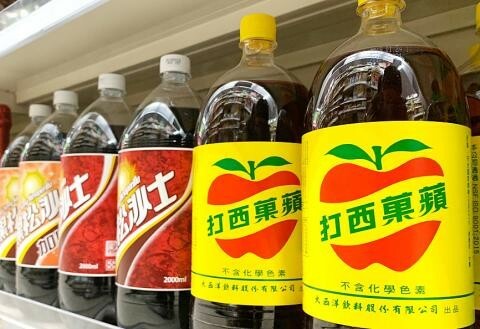 TAIPEI (Taiwan News) -- The chairman and general director of Oceanic Beverage Co., Inc. (大西洋飲料), the maker of Apple Sidra (蘋果西打), were both fired by the board of directors following fines for food safety violations and allegations of financial mismanagement. At 10 a.m. on Sunday (April 14), the company's board of directors opted to sack general manager Sun Yu-ying (孫幼英) and chairman Chiang Kuo-kuei (江國貴), and have both roles filled by company auditing head Wang Chen-min (王鎮民). An investigation by the New Taipei District Prosecutor's office found a number of irregularities with real-estate transactions the company had been involved with in 2018 and top executives are suspected of siphoning money for themselves. After a search was carried out and relevant personnel were questioned, Chiang was released on NT$150,000 bail (US$4,800), while Sun was ordered to be held incommunicado without bail, reported CNA. In order to conduct an investigation into the possible fraudulent transactions, the Prosecutor's Office has searched eight locations in the greater Taipei area and questioned 12 suspects and witnesses thus far.